If you could create The Perfect Jumper for me, this would be it! It's fluffy, it's pastel and it has a motherlovin' My Little Pony-esque unicorn on it! Kitsch and completely childish, it's the greatest thing I have ever owned! I actually bought it a few months ago after somebody on Twitter (I can't remember who) sent me the link, thinking it would be perfect for me. 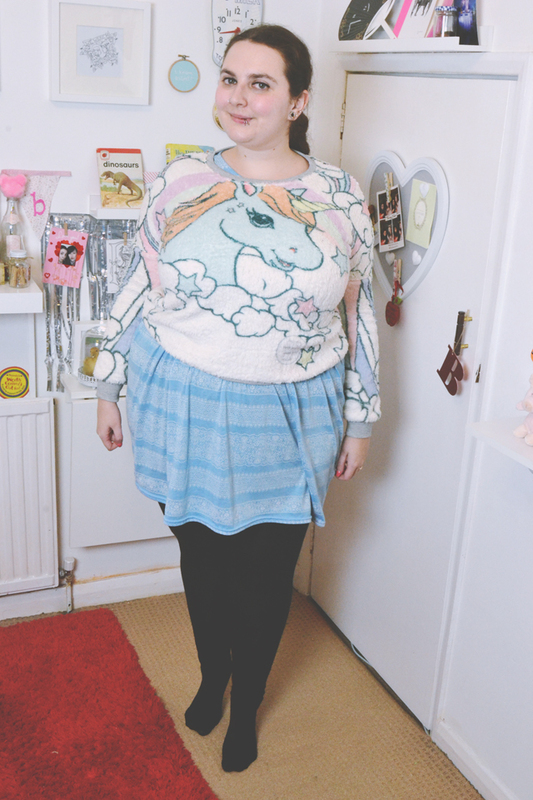 I can't remember the exact Ebay shop I bought it from now but there's a few of them listed on eBay under "unicorn jumper" (example here). Although they're sold as one size, luckily the fit is supposed to baggy so I can squeeze myself into it! Perfect! I LOVE that jumper, oh my! Looks so cosy! I love jumpers with skirts in the winter! They make me feel like I've dressed up a bit more but I'm still warm!! 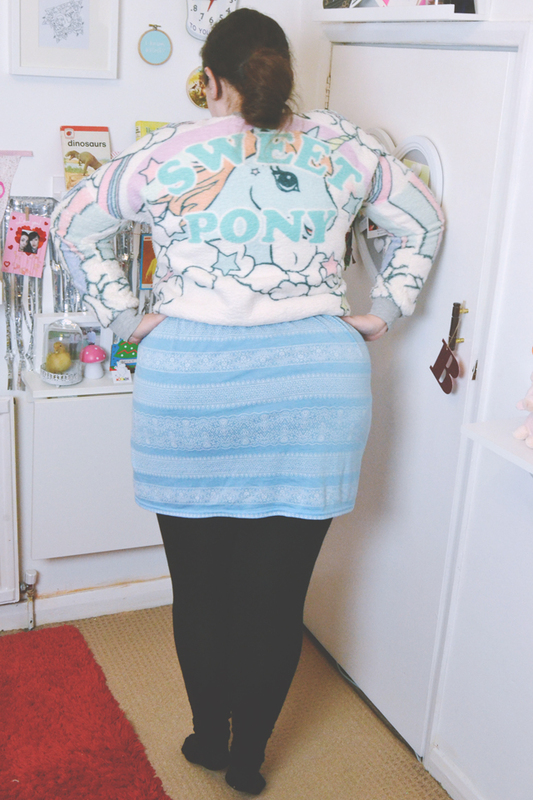 What a fun pony sweater! It's so wonderfully pastel and I really like it layered over your striped dress. Looking cute! So cute! Is the skirt part attached? Sorry. I don't know if "jumper" means dress or sweater. American problems. . It's awesome, I want one!